Mount Zion. 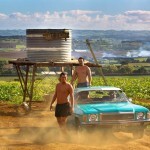 Turei’s family are hard-working potato farm workers in rural New Zealand. 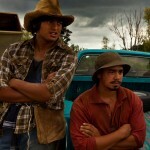 A talented musician, Turei dreams of his band being the support act for Bob Marley’s 1979 tour. But it’s a dream that challenges the traditions and values of his upbringing and will set him at odds with his family – particularly his father, a true man of the land. In this feature film Australian Idol winner and X-Factor judge Stan Walker makes his acting debut as aspiring singer Turei. Part of a whānau of Māori potato pickers from Pukekohe, he has to choose between duty to family (Temuera Morrison is patriarch ‘Papa’) and letting the music play. Turei’s dilemma takes place amidst reggae star Bob Marley’s 1979 tour to Aotearoa and a chance for him to win a supporting slot at Marley’s Western Springs concert. 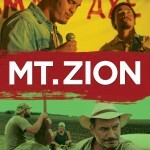 Mt Zion is director Tearepa Kahi’s first feature, after a suite of successful short films (Taua, The Speaker).